I get it, guys hate to shop for clothes and therefore do it as rarely as they can manage. But during the recent deluge of rain that seemed to last months here in North Texas, even the most stubborn among us had a passing thought that the time for shorts and t-shirts is behind us and we need to do something about it. If you went to the global leaders in fashion for advice, they may have told you to spend – how much??? – on a few pieces of dead animal stitched together. And then you came to us, for some sensible advice you can use and pieces you can find in your local mall or through your preferred purveyor of custom and made-to-measure clothing. No worries, man, I’ve got your six. Maybe the words “dress” and “code” never appear together in your company’s mission statement, but that doesn’t quite mean you should roll into work wearing more or less what you rolled out of bed in. While in the summer that meant that you should replace cargo shorts with linen trousers, now that the leaves are falling, consider replacing your worn-out jeans with a pair of chinos or 5-pocket pants. Leave the running shoes at home, and instead wear a pair of dressy-casual sneakers – everyone from Cole Haan to Allen Edmonds makes these now. Then, if your shirts aren’t custom-made, you’re missing out on a cornerstone of your wardrobe; whether the shirt is dressy or casual, it needs to fit you properly. You work hard in the gym for your gains, don’t wear a shirt that hides them. Finally, since we know from Game of Thrones that “winter is coming”, layering several pieces (including knits like polos, t-shirts, and sweaters) will be the way to stay warm and look cool. They were invented to keep the flight crews of US Air Force warm at high altitudes, and they’ve been around for decades. Tom Cruise wore one in Top Gun 30+ years ago, Seinfeld wore his suede one in the snow (and ruined it!) and Ryan Gosling wore one yesterday (we’re pretty sure). Some people put patches on theirs (unit or mission insignia if you’re in the military, your instrument if you’re in the high school band), but they look best if they’re simple and clean. These days, you can have one made-to-measure and pick a variety of style options. Suede is back (Jerry will be pleased to know) but you can get a bomber in brushed polyester, as well as wool and other fabrics. They’re convenient for a variety of weather conditions and often reversible, so they can pull double duty. Any man over 35 should already own a tuxedo. If you get married in a rented tux, I don’t know how we can be friends – why would you wear someone else’s tuxedo on your big day? OK, now that we settled that, and you now own a tuxedo, let’s talk about you owning more than one. Hear me out: the holiday party season is starting, and some parties will be fancier than others. And what comes after the holiday party season? That’s right – the Annual Gala season. You’ll be walking on so much red carpet between now and April that you’ll think you ARE Ryan Gosling. Therefore, why NOT have a velvet tuxedo? You can go for the traditional black, but you might be able to find one in navy blue, or even burgundy. And while peak lapels are as classic as they get, shawl collar looks sleek and modern. If you’re an average guy, you have a navy suit and a grey suit. As we discussed before, you probably also have a tuxedo or at least a black suit. Fun fact: back in the early 1900s, a glen plaid suit was a sign of the financial success of the wearer, since he was considered wealthy enough to afford 3 suits (navy, grey, and then plaid). All of this means there’s not a lot of brown in most closets, and so I’m here to tell you not to be afraid of it. The earthy brown tones are perfect for fall weather, and brown is still pretty much a neutral, so it pairs well with most other colors. 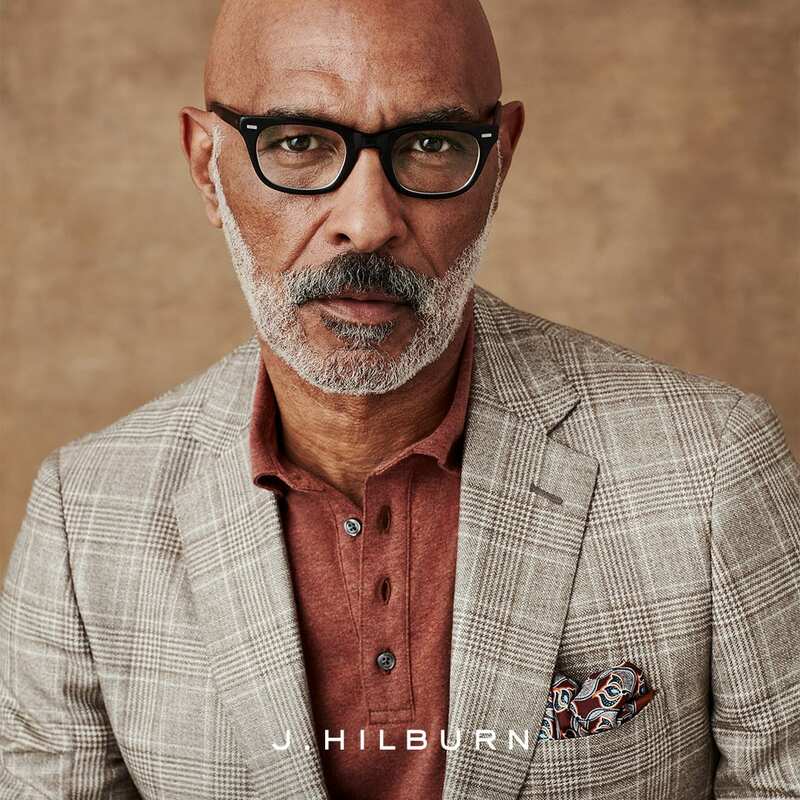 Blue is always a safe bet, so try a brown suit with a light blue dress shirt, and if you have a brown sport coat, it will make you look sharp when you wear it with jeans. Then, go beyond the suits and look at brown polos, brown sweaters, brown accessories… You’ve been wearing brown shoes all this time, why not wear other brown clothing? That’s about all I have for this season; what are some of the men’s fashion trends that you’ve been seeing? Let us know in the comments below.